SAAPRI’s groundbreaking oral history project, Memories and Milestones, will be featured at the Spurlock Museum of World Cultures at the University of Illinois Urbana-Champaign in their upcoming exhibit, From the Subcontinent to the Prairie: Stories of Immigration and Identity. The exhibit aims to shed light on the diverse experiences of South Asians in America and will be open to the public from January 27th through May 19th, 2019. Memories and Milestones has been on display at numerous exhibits around Illinois since its completion in 2009. The project is dedicated to recording, documenting and preserving the journeys of South Asians who came to Illinois between 1945 and 1965. SAAPRI’s efforts brought together a pioneering group of immigrants whose voices may have otherwise been lost to history as one of the great untold stories of American immigration. The project’s executive summary and methodology can be found here. SAAPRI would like to thank the National Indo-American Museum (NIAM) for making possible the inclusion of Memories and Milestones in Spurlock’s upcoming exhibit, which features NIAM’s display The Indian American Experience in Chicago. 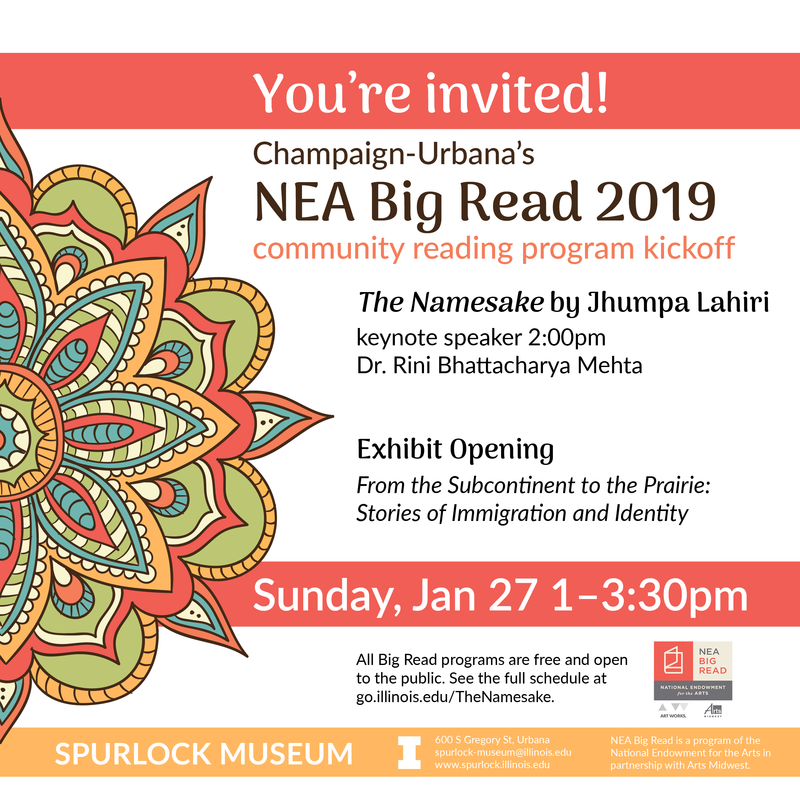 From the Subcontinent to the Prairie kicks off this Sunday, January 27th alongside the Spurlock Museum’s community reading program focused on The Namesake by Jhumpa Lahiri. All are welcome to attend.